We were busy in March! 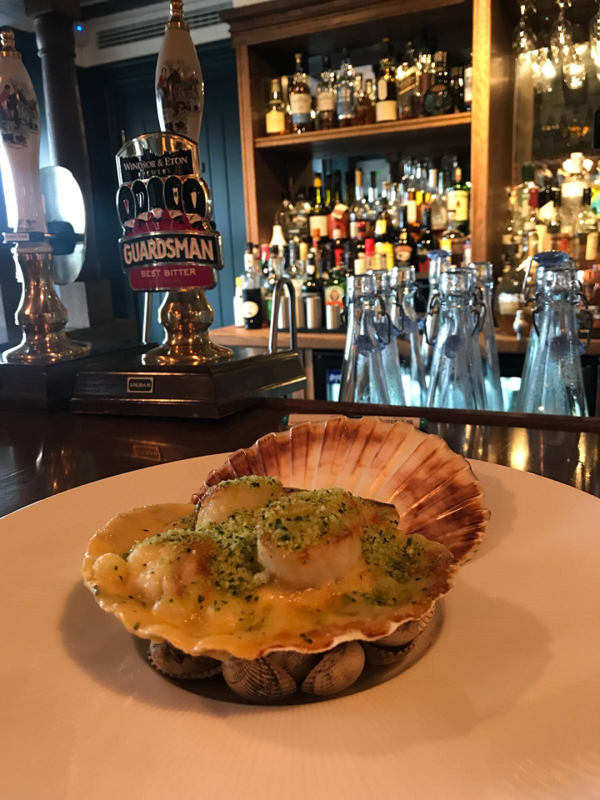 Steven took his version of a Welsh Rarebit to the next level…… Instead of bread, Steven uses Hand Dived Scallops, Lobster and Cockles….. Easy to say it’s a hit! 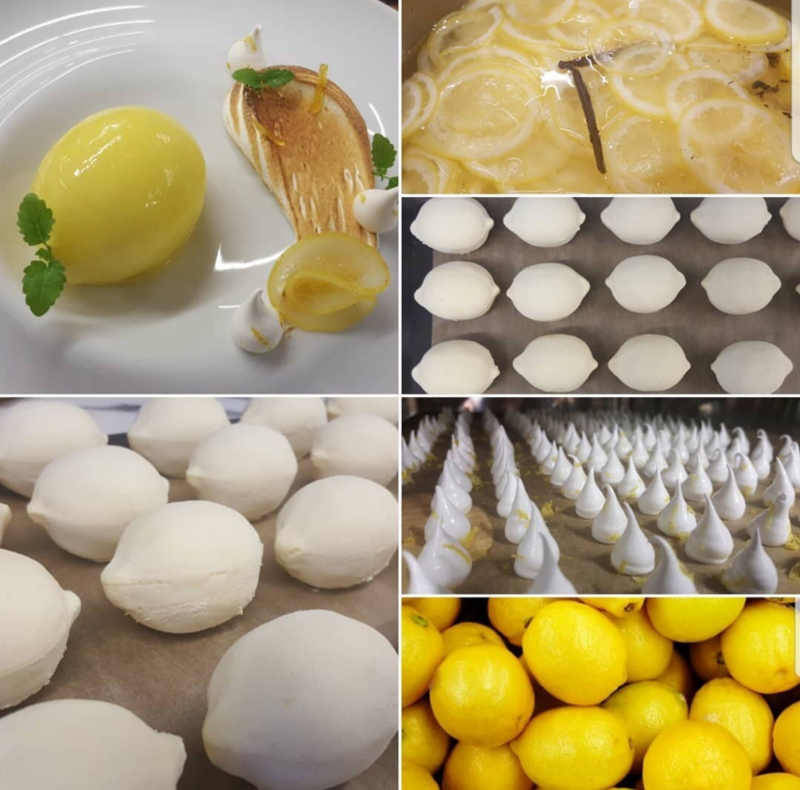 Last day of the month Ami added this to the dessert menu, what a way to end the month! 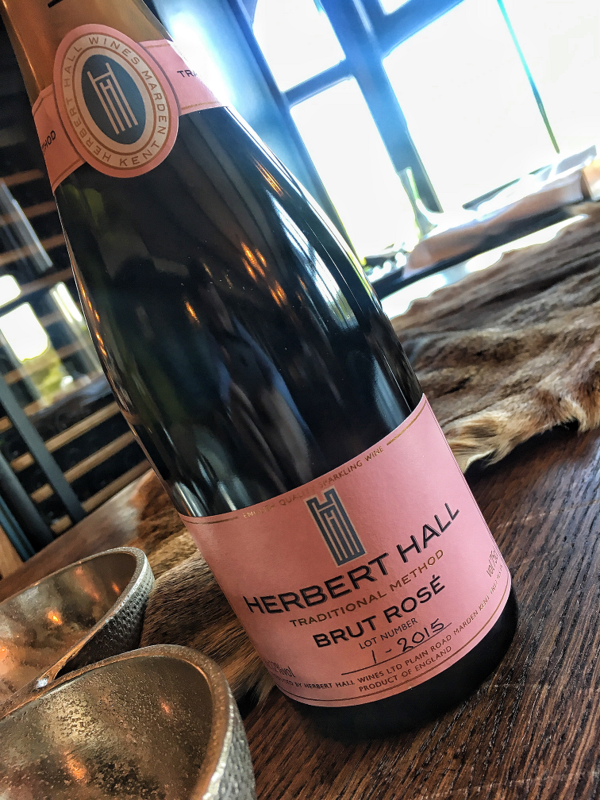 Margriet added an English Sparkling Rose on the list from Herbert Hall, an absolutely great to start Spring and available by the bottle! Daniel attended a dinner hosted by one of the greats, Diego Masciaga (General Manager of The Waterside Inn, Bray). This was an evening for the finalists of The Gold Service Scholarship Competition to spend time with Diego, listen to his stories and ask questions. 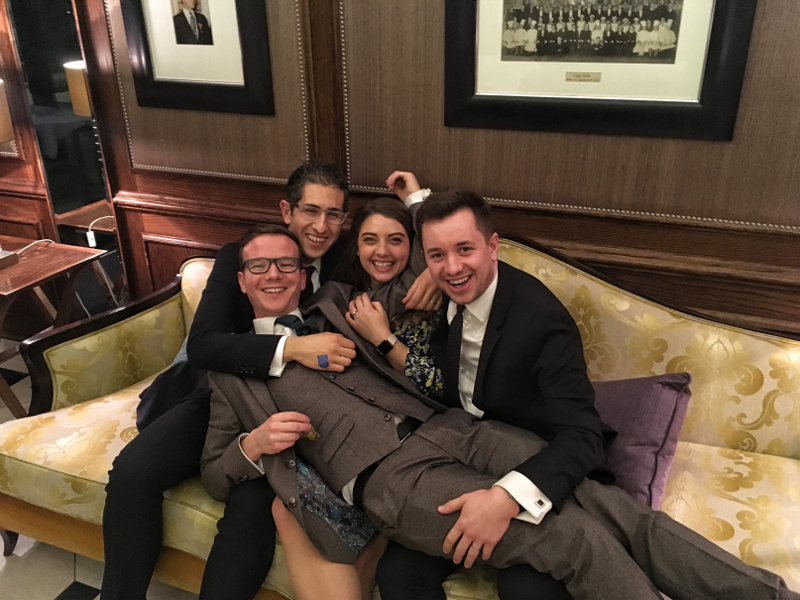 The dinner was held at The Goring Hotel, London. As you can see from the pic, it was a great evening with lots of friends in the industry managing to have a good catch up! (You may recognize a few faces).